Cherry Casino is one of the latest additions to the Japanese online casino market – a real heavyweight to be honest as it not only features a vast array of high-class games but great bonuses and campaigns too. 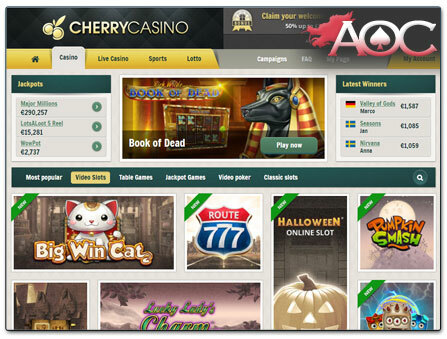 Nevertheless, its roots lie elsewhere in the online world, because the Swedish land-based Cherry Casino was already founded in 1963. Therefore, this enterprise is certainly looking back at a vivid history and plenty of experience in everything to do with casinos. 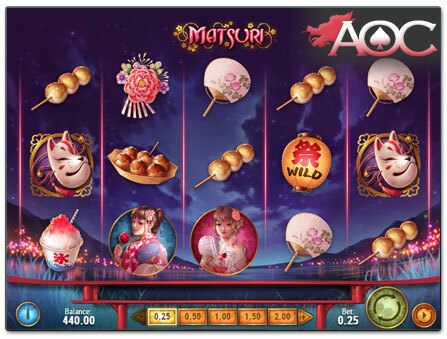 In 2000, Cherry Casino saw the light of the internet and has since grown to become one of the biggest operators in the market – good for casino players in Japan too, who cannot wait to play the likes of flagship slots such as Starburst, Book of Dead, Koi Princess or Matsuri. Quite a few of these games are also available in Japanese, which is a plus (see further details under the Games Tab below). In order to play with real money, you will have to sign up for a real money account. To credit your account, you can take advantage of deposit methods such as the e-Wallets ecoPayz or Venus Point as well as regular payment methods such as credit cards and Fast Bank Transfer. By the way: If you are also a sports fan and interested in placing a bet on a multitude of events, Cherry also offers a dedicated sports betting section. Recommended for players in Japan (Website also available in Japanese). The complete website is available in Japanese, which includes many of the games. The selection of software providers is pretty extensive including the likes of brands such as NetEnt, Microgaming, Yggdrasil, Play’n GO and others. European-centric live dealer games from market leaders Evolution Gaming in addition to NetEnt and Extreme Live Gaming are provided. Cherry features a great mobile casino for your iPhone, Android, or other popular device. Japanese speaking customer support via live chat and mail. The Cherry group has many years of experience in the industry. The player account cannot be set up in Japanese Yen. Alternatively, USD is offered as a base currency. The wagering requirements for the bonuses are a little higher (40 times the bonus amount) than the industry standard (30 to 35 times). If you would like to take up a sign-up bonus at Cherry Casino, you can pick between two individual welcome offers: the regular 100% bonus up to $300, or the VIP bonus for High-Rollers worth 50% up to $2,000. In order to activate the regular bonus, visit the cashier’s area of the casino, choose your preferred payment method (see Banking Tab) and deposit a minimum of $20. If for example, you deposit $100, Cherry will double your deposit by 100% and credit your account with another $100 in bonus money. In order to take full advantage of the bonus, a deposit of $300 is required, and you will begin your casino session with a total balance of $600. The VIP offer requires a higher minimum deposit of $500 in order to receive 50% in bonus money. As you can see, it only really makes sense to take up this offer, if you are intending to deposit significantly more. A deposit of $4000 maximises this offer in order to commence play with a balance totaling $6000. Both welcome bonuses are linked to so-called wagering requirements that need to be met before you can withdraw the bonus or any winnings accumulated with it. Note though, that you always play with your deposited money first, so any winnings you achieve before the bonus money is activated can be withdrawn by you of course. In order to meet the bonus requirements, you must wager the bonus amount 40 times in the casino’s games. The period in which you can do that amounts to 14 days. Alternatively, you can also use the bonus in the sports section, which requires you to wager the bonus amount 8 times by placing bets on minimum odds of 1.80. Please note that the maximum bet limit should not exceed 20% of the bonus amount received. The Cherry welcome bonus is not the only offer at this online casino. Existing players will regularly be catered for with campaigns such as free spins or cash back bonuses. Details to all of these promotions can be viewed in the dedicated campaigns section on the Cherry website. At Cherry, you find the games by numerous flagship names in the casino software industry, such as NetEnt, Microgaming, NYX Gaming and Play’n GO (many of the games are available in Japanese as well). Also, lesser known providers such as Yggdrasil and Lightning Box (also available in Japanese) can be found with their games among more than 600 titles. Unfortunately, the selection of jackpot slots is a little limited (approximately 15 titles) but includes some of the classics such as the Mega Moolah series by Microgaming. Hint: If you want to try any of the games without playing for real winnings first, you can do so in demo mode with the exception of the live dealer games. Regardless, if you are playing the games with real money or in demo mode, you don’t have to download any software as all titles are launched directly in the mobile browser (same goes for the mobile casino – see details below). The games portfolio is further complemented by an extensive selection of virtual table games as well as the live casino, where you can experience the vibe of real casino gameplay on desktop, laptop, or even on your mobile. The live casino games available in Asia and Japan are provided by Evolution Gaming, NetEnt and Extreme Live Gaming. Admittedly, these brands may not be well known by Asian players, but are at the forefront of pretty much all European online casinos. By standard the language spoken by the dealers is English. However, the controls are in some cases localized to also suit the players in Asia. Amongst others, the games you will find here are Baccarat, Blackjack, Roulette as well as some exotics such as Three Card Poker or Casino Hold’em. Further information in regards to live dealer casinos and the available games can be found here. 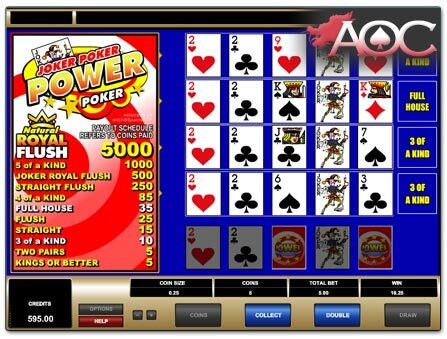 To round it all off, Cherry Casino has some video poker games in store, some of them known from the poker machines in Las Vegas, for example, Joker Poker Power Poker (by the way these are the titles by software provider Microgaming). You can look up your favorite games using the search function found on the top right-hand side of the website. Unfortunately, you cannot search by software provider, so if for instance you cannot remember the name of the Play’n Go game Sakura Fortune, you will have to manually look for it. We hope, Cherry will enhance their search function feature to soon include the ability to search by the name of the software provider. If you prefer playing the games on your mobile, we certainly recommend a visit to the Cherry mobile casino. Not all games are present here, as is the case with the desktop version, but you will not be lost for choice as more games are being adapted to fit the mobile format on a regular basis. To play the games in the mobile casino you do not have to register another player account, as your login details are valid on both platforms (mobile and desktop). Of course, that also means that all important features such as bonuses, payment transactions, and account settings are also available on the mobile operating environment. Cherry Casino can be visited both on your iPhone or Android as well as other popular devices. In order to play the vast selection of games at Cherry Casino with real money, you can choose between various payment methods including the e-Wallets ecoPayz and Venus Point, which enable you to credit your account with a maximum of $4000 per deposit. In addition, you can use a regular payment method such as debit or credit card. The minimum deposit at Cherry Casino is $10. Please note though, that if you would like to take up the sign-up offer, the minimum deposit is $20. As usual with every online casino, deposits are instantly credited to your real money account. In addition, Cherry does not charge any fees for deposits as well as withdrawals. Depending on the processing time of international transactions, it may take a while before the money becomes available in your account. Another not uncommon detail in online casinos, which cater for players in Asia or Japan for that matter, is, that you cannot set up your account in Yen or other Asian currencies. In that case, the dollar will be used as the base currency, which of course poses no problem when it actually comes to depositing in Yen for instance. Withdrawals at Cherry Casino run swift and trouble-free, to say the least, and are usually processed within 24 hours – in many cases even sooner, in which case the winnings are credited to your account within a few hours or maximum a few days. The time you receive your withdrawal depends on the withdrawal method you use. For instance, bank transfers may take up to 5 days, while e-Wallets function a lot quicker – one other reason why many players worldwide prefer to do their casino banking using an e-Wallet. Below you can see a list of payment methods relevant to Asian players (alphabetically ordered). In addition, various other options are available, which comes down to the currency and country.